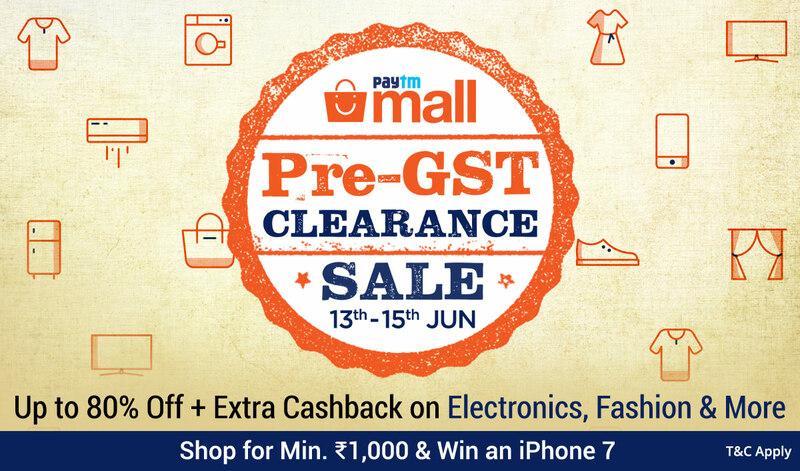 Paytm said its Pre-GST Clearance Sale will offer a cashback of up to Rs 20,000 on items including televisions, consumer durables, premium laptops and DSLR cameras. Up to 50% off on Bluetooth speakers, footwear, accessories etc. Paytm Mall, a unit of digital payments platform Paytm, has launched a clearance sale ahead of the planned rollout of GST or Goods and Services Tax next month. Under its "Pre-GST Clearance Sale", merchants or authorised retailers across the country are offering discounts and cashbacks on consumer durables including TVs, laptops, phones, ACs and refrigerators in a bid to clear their existing stocks, Paytm said in a statement. The Paytm sale "will host over 6,000 retailers across 500+ brands, with all major brand labels participating in the retail extravaganza", it said. Paytm said its Pre-GST Sale will offer a cashback of up to Rs 20,000 on items including televisions, consumer durables, premium laptops and DSLR cameras. Also, products such as Bluetooth speakers, footwear and accessories will be sold at discounts of up to 50 per cent plus a 25 per cent cashback, it added. Commenting on the incoming tax regime GST, Paytm said: "This sale has come at an opportune time for offline retailers who are looking to offload their entire inventory before the new tax rates become effective." Touted as the biggest reform since Independence, GST will kick in from July 1. The GST Council, chaired by Finance Minister Arun Jaitley and comprising his state counterparts, has fixed rates on a multitude of goods and services, which is set to impact prices once it is implemented. The GST Council last week lowered tax rates for 66 items, making packaged food items (pickles, ketchup, toppings etc.) 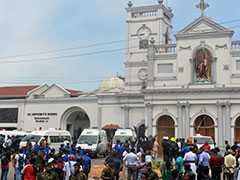 cheaper at the tax slab of 12 per cent compared with 18 per cent earlier. 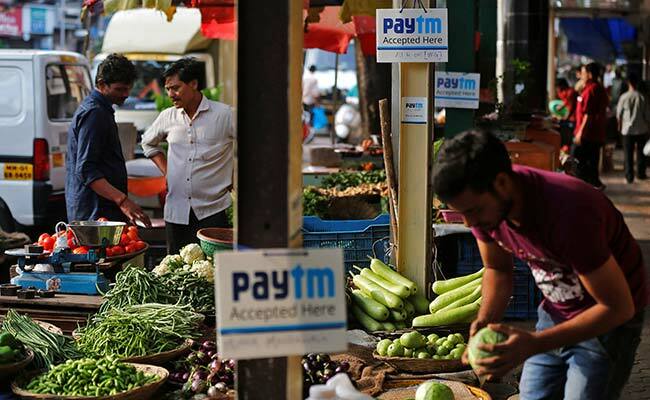 Mobile payment and commerce platform Paytm has a current user base of more than 225 million. Paytm is the consumer brand of mobile internet company One97 Communications.